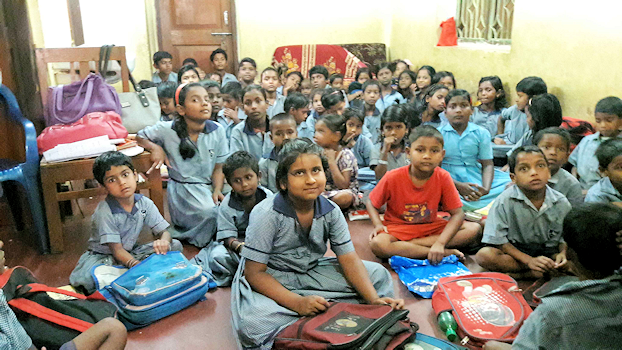 Calcutta Mercy Ministries is committed to being the hands, feet and hearts that serve the poor of Calcutta. This can be seen with their investment to develop leadership and their programs of care in the fields of education, community development, nutrition and healthcare. Every day at Mercy Hospital the love of God is demonstrated as skilled and caring hands of mercy touch hurting humanity in the center of one of the most populous nations in the world. 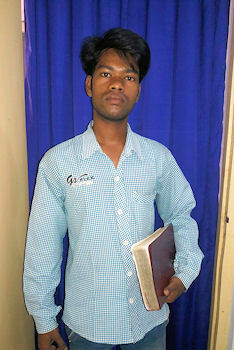 Rajani lives in rural India, in a one-room, dirt floor shack with his father, mother, and 16-year-old sister. Just feet from the entrance reclines the family cow - their only source of income. Rajani has a genetic blood disorder called thalassemia that requires chronic blood transfusions and, for worse cases, a splenectomy, a procedure to remove the enlarged spleen. Rajani required such a procedure, but his family had no means to pay for it. Despite his condition, Rajani determined each day to live his best. He awoke each morning, walked 20 minutes to the closest train station, rode 30 minutes on the train, and ended with a 15-minute bus journey; he was determined to go to school. Calcutta Mercy Hospital learned of Rajani's condition and, with donations provided, gave Rajani the splenectomy he so desperately needed. 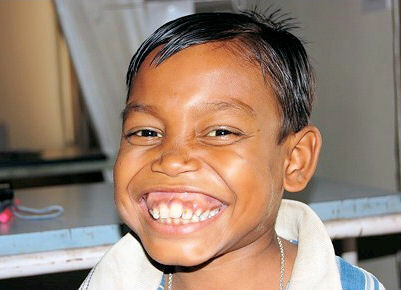 The operation was successful, and Rajani today enjoys newfound health and energy to live his life to the fullest. Around 40,000 receive free medical care each year at Calcutta Mercy Hospital, and 100 young women seeking to support their families learn the art of medicine at the School of Nursing. Graduates of the nursing programs are offered jobs at the hospital or take positions in medical clinics in India's rural villages. These out-lying clinics are vital as they help to identify children who desperately need support. Education is one of the greatest gifts that we can give a child. For many, it is the key to extracting themselves from poverty's grip. Nanda, a recent graduate of the Buntain (Theological) Institute in the State of Orissa, routinely visited a small village during his studies. He saw the hunger and thirst for truth, became involved in the lives of those in the community, and opened a learning center (church) in the community. After graduation, Nanda began a school for the village children for those deprived of education. A supporting church (group) helps to provide text books, note books and other study materials as most of the families do not have the necessary finances for supplies nor are they able to send their children to school in a nearby town. Though many of the children are older, they start with the primary materials. All students are taught in one small hall as there are no facilities for a proper school. Mampi is an enthusiastic seven-year-old at one of the CMM Learning Centers, and one of its most eager learners. Before class begins each day, she is already belting out the English songs that she learned earlier that week. Mampi lives with her parents and two brothers. With her friends, when at home, she plays "school" for fun, along with other indoor games. When Mampi gets older, she wants to become a teacher so that one day she can also give others the joy of learning.